The 8th International Conference on the MCH (Maternity and Child Health) Handbook was held from October 22 to 25, in Nairobi, Kenya, under the initiative of Prof. Miriam K. Were, laureate of the first Hideyo Noguchi Africa Prize. This is the first time that the conference is being hosted in Africa. Those engaged in medical science and healthcare in 25 countries, mainly in Africa, participated in the Conference, which upheld the motto of "Tunza Jamii, Tunza Taifa,", which means "Care for the Family, Care for the Nation" in Kiswahili. With large support from the Ministry of Public Health and Sanitation of Kenya, which is the country in which the Conference venue was located, discussion was held under the theme of the utilization of the maternal and child health (MCH) handbook to accelerate the achievement of Millennium Development Goals (*Note) Target 4: Reduce child mortality rate and Target 5: Improve of maternal health. Events commemorating the fourth anniversary of the Hideyo Noguchi Africa Prize were also held. On the final day, there was a declaration of "Call for Action" by African participant countries for action in the future. The MCH handbook, which allows for comprehensive management throughout the period of pregnancy, delivery and child-rearing, was invented in Japan. Prof. 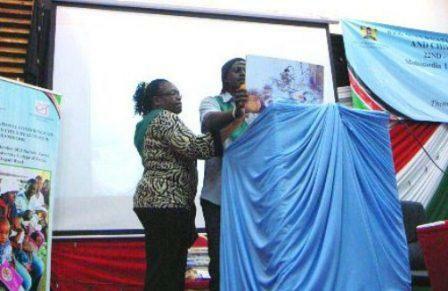 Were is engaged in activities to disseminate the MCH handbook in Africa, since she encountered it in Japan in 2009, the year following her receiving of the Hideyo Noguchi Africa Prize. Please refer to the article on Prof. Were’s visit to Japan on the website of the Hideyo Noguchi Africa Prize for the story about how she came to know about the maternal and child health handbook in Japan. Millennium Development Goals (MDGs): These are the goals common to the international community in the area of development. They were compiled based on the UN Millennium Declaration adopted at the UN Millennium Summit held in New York in September 2000. MDGs include eight different goals, including the ending of extreme poverty and hunger, by 2015. On the first day of the Conference (October 22), an opening ceremony was held, attended by the Minister of Public Health and Sanitation of Kenya, Ms. Beth Mugo. After the addresses by Chairperson prof. Yasuhide Nakamura (Osaka University) and Professor Kiyoshi Kurokawa (Chair of the Hideyo Noguchi Africa Prize Committee), Mr. Yamada, Charge d’affaires of Japan to Kenya, gave a lecture by using his own copy of the MCH handbook, which attracted great interest from the audience. In the afternoon, a session to share the experiences of countries already using the MCH handbook was held. With Japan International Cooperation Agency (JICA) taking the lead, eight countries, namely Indonesia, Palestine, Morocco, Bangladesh, Thailand, Laos, The Netherlands and Kenya, made presentations. On the second day of the Conference (October 23), countries were divided into six different groups according to the region in Africa (countries other than those in Africa were allocated to each group to serve a supporting role). Toward the achievement of MDGs 4 and 5, a framework utilizing the MCH handbook was prepared. In the afternoon, each group made presentations on the results of discussion. In the evening, there was a special session and reception commemorating the fourth anniversary of the Hideyo Noguchi Africa Prize. In the special session, Japan made a presentation on the history of the Hideyo Noguchi Africa Prize and the activities of the laureates after receiving the prize. Prof. Were expressed respect to the attainments of Dr. Noguchi, who overcame adversity, and gratitude to Japan for establishing an award named after him for Africa, and explained that she will aim to realize a healthy continent (Africa) while cooperating with relevant parties in Japan. It was confirmed anew that not only was the relationship between the relevant parties of both Japan and Kenya reinforced, but they are also encouraging one another. 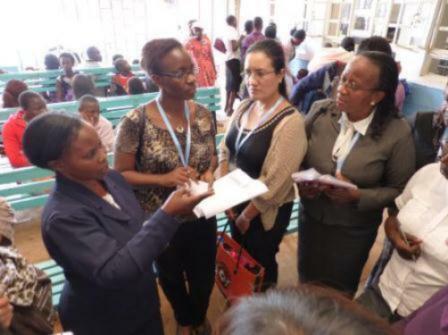 On the third day of the Conference (October 24), about 70 participants in and out of Kenya were divided into five groups and observed medical facilities in Nairobi, the capital of Kenya, which actually utilize MCH handbooks. 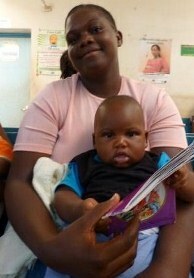 In Nairobi, almost all expectant and nursing mothers use MCH handbooks. It is widely understood that the handbooks should always be brought when visiting doctors, and there were also various improvement measures taken by each facility. Participants were actively questioning the staff of the facility and visiting mothers. Participants from Kenya did not participate in the observation but were formulating a strategy for the effective use of the MCH handbook (training, education activities, support for implementing policies, etc.). In the afternoon, after the debriefing session of the morning activities, a panel discussion was held under the cooperation between the public and private sectors. The panel included a representative of the Kenya Healthcare Federation, which is a healthcare business consortium in Kenya, the Chair of the Christian Health Association of Kenya, a representative of the Partnership of Maternal, Newborn and Child Health (PMNCH) of WHO, and Dr. Were. On the fourth and final day (October 25),based on the achievements of the four-day conference, African participant countries declared a "Call for Action" for action in the future. In the closing ceremony, there was a chorus of the children of Good Shepherd AGC and a performance of Maasai people by community health workers in Magadi, who were invited by Dr. Were. After acknowledgement remarks from the Nairobi Call for Action, from Asia (represented by Indonesia) and Africa (represented by South Sudan), Chairman Nakamura made closing remarks, and Dr. Sharif, Director of the Ministry of Public Health and Sanitation of Kenya, delivered closing address. African countries other than Kenya showed strong interests in the MCH handbook, and countries wherein the handbook is already diffused and countries considering the introduction shared their experiences, encouraging each other. Under the initiative of Prof. 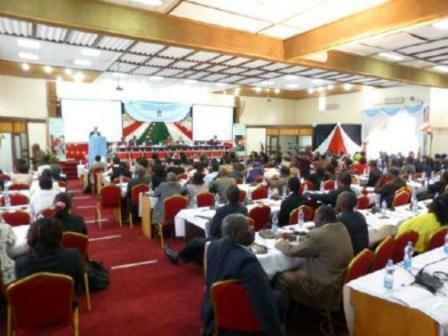 Were and the Government of Kenya, the Conference ended successfully.As seen by the fact that many African countries showed willingness to become as the venue for the next International Conference on the MCH Handbook, positive responses from all participants and the participants’ determination on activities to diffuse the MCH handbook were felt largely. Commemorating Dr. Hideyo Noguchi, who was born in Fukushima and made achievements worldwide, the memorial stamp of the second Hideyo Noguchi Africa Prize will be released (scheduled to be on sale on May 31, 2013). Following the memorial stamp was issued commemorating the first Hideyo Noguchi Africa Prize in 2008, it was decided that a memorial stamp will be issued for the second award of prize in 2013. With a wish to encourage Fukushima, which was stricken by the earthquake and tsunami, by issuing a memorial stamp of a prize named after Dr. Hideyo Noguchi, who is a hero of Fukushima, it was decided that the stamp will be issued by Japan Post Co., Ltd. This is an issuance of a memorial stamp of great significance and preciousness. We wish for the issuance of this memorial stamp of the second Hideyo Noguchi Africa Prize to be a valuable opportunity to call attention to Fukushima, where is the homeland of Dr. Hideyo Noguchi, and at the same time are determined to concentrate our efforts so as to make the second Hideyo Noguchi Africa Prize an even more wonderful prize. The stamp will be on sale from May 31, 2013, in post offices throughout Japan. We will occasionally update further details on our websites and newsletters. 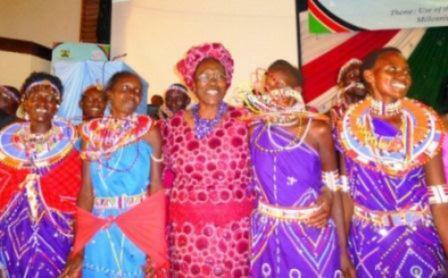 The award ceremony of the second Hideyo Noguchi Africa Prize will be held at the timing of the holding of the Fifth Tokyo International Conference on African Development (TICAD V) in June 2013. The logotype for the TICAD V was decided officially. The logotype that is being used from the first TICAD is placed in the center. The shape of a V, representing the number five, that widens toward the top expresses the sustainable development and the potential of collaboration among the relevant parties engaged in the development of Africa. In addition, words such as "vibrant," "vigorous" and "vitality" can be imagined from the letter V. The three colors of red, green and yellow that are also used in the flags of many African countries respectively represent solidarity, agriculture/forests, and fertile land. In 1896, a boy from a small village in Inawashiro, Fukushima, went to Tokyo. He later made great achievements throughout the world, such as in China, the U.S., Europe, South America and Africa. Behind his enthusiasm was support from his teacher and friends with whom he maintained communication throughout his life. It seems that Dr. Noguchi was an attractive person with his remarkable intelligence and honest and frank personality. He had an amazing memory, able to immediately memorize a word by seeing it in a dictionary only once, and had had the skill of mastering several languages. Dr. Noguchi was also gifted with literary talents. When he returned to Japan after 15 years, he made calligraphy pieces in brush when asked that matched the characteristics of the requester. He also left more than 100 calligraphy pieces made with a writing brush. Dr. Morinosuke Chiwaki (Director of Takayama Dental School, the current Tokyo Dental College, and established the basis for dental medicine in Japan), who looked after Dr. Noguchi after he went to Tokyo, forgave the naughtiness of Noguchi, which may usually have not been tolerated. He knew that Noguchi was a person with great potential. From his remaining letters, it can be read that Dr. Noguchi improved his character every day, and became a gentleman two to three years after having gone to the U.S. It was also lucky for Dr. Noguchi that he met persons of integrity such as Dr. Flexner of the Rockefeller Institute and Dr. Madsen of the Danish National Serum Institute. "What I try every day is to become a man. I regard that studying comes next." This is a phrase Dr. Noguchi wrote in a letter. For him, it was more important to become a decent man than to acquire knowledge. It carries a lot of weight because these are the words of Dr. Noguchi, who was extremely intelligent and who engaged in academic pursuits. Those who became acquainted closely with him were all lifetime friends of his. They were all so fond of him and almost enchanted by him, unable to help themselves becoming strongly involved in his life. Dr. Noguchi attracted many people, and being supported by the great love of people around him, became a bacteriologist acting throughout the world. 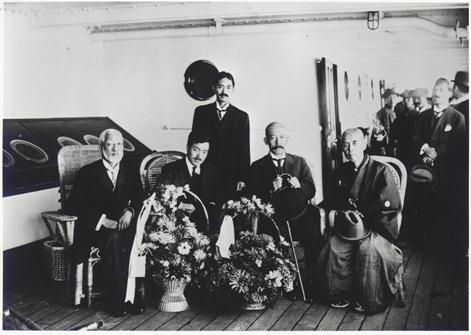 Photo of Dr. Noguchi before going to the U.S. again, with his teachers on the deck of Sado-maru. From left to right, Dr. Kanae Watanabe, Dr. Hideyo Noguchi, Dr. Saburo Ishizuka, Dr. Morinosuke Chiwaki, Mr. Sakae Kobayashi. This story is based on Mr. Yasuo Yago’s interview. He is the director of Hideyo Noguchi Memorial Hall and grandson of Mr. Yasuhei Yago, Dr. Noguchi’s best friend. He told us interesting episodes which have never been shown in biography. If you are interested in Dr. Hideyo Noguchi’s life, please visit our website.